According to rental site Zumper, the median rent for a 1-bedroom apartment in North Beach is around $3,270, compared to a $3,295 average citywide. But what does the low-end pricing on a rental in the area look like these days--and what might you get for the price? Listed at $2,500/month, this 804-square-foot, 1-bedroom, 1-bathroom apartment at 101 Lombard St. is 23.6 percent less than the $3,270/month neighborhood median. In the unit, expect air conditioning, hardwood flooring, a balcony, a walk-in closet, floor-to-ceiling windows, granite countertops and plenty of natural light. This wheelchair-accessible building features garage parking, a swimming pool, a roof deck, on-site laundry and a door person, but pets are not allowed. This 1-bedroom, 1-bathroom apartment at 125 Bay St. is listed for $2,750/month. In the unit, expect central heating, carpeting, a fireplace, a dishwasher, large windows and wooden cabinets. The building offers assigned parking, an elevator, secured entry and on-site laundry. Pet guardians: animals are not permitted. Here's a 1-bedroom, 1-bathroom apartment at 1 Windsor Pl. with 550 square feet that's going for $2,795/month. Tenants can expect tile flooring, ample closet space, an eat-in kitchen and plenty of windows. The building offers on-site management, so they'll catch on quickly if you try to sneak a dog or cat past them. 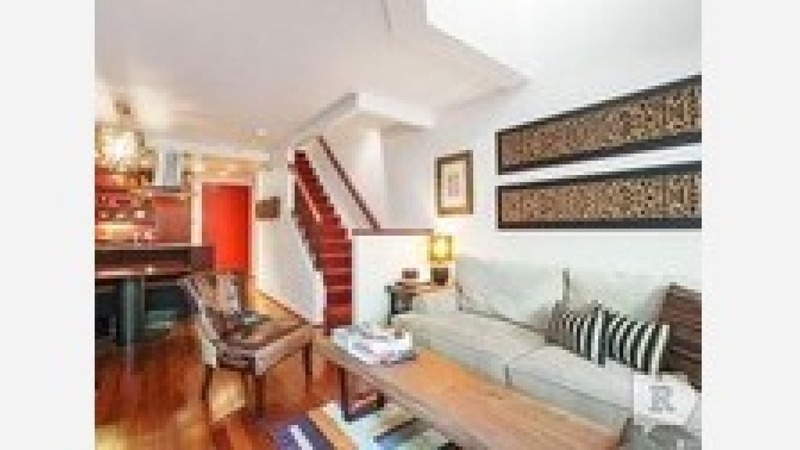 Listed at $3,200/month, this 1-bedroom, 1-bathroom apartment is located at 111 Chestnut St. In the unit, tenants are promised a mix of hardwood floors and carpeting, a dishwasher and floor-to-ceiling windows. Amenities offered in the building include assigned parking, a fitness center, a residents lounge, a door person, secured entry, an elevator and on-site laundry, but animals are not permitted. To round things off, there's this studio apartment at 220 Lombard St. that's listed for $3,200/month. In this furnished unit, tenants can look forward to hardwood floors, stainless steel appliances, ample natural light and closet space. The building offers garage parking, a business center, a fitness center, a shared lounge area and storage space. Small pets are welcome with an additional deposit and reference.